Talented Gattinoni creative director Guillermo Mariotto continues to define today’s “new luxury” with exquisite fine timepieces that exhibit his unique mixture of femininity and androgyny. 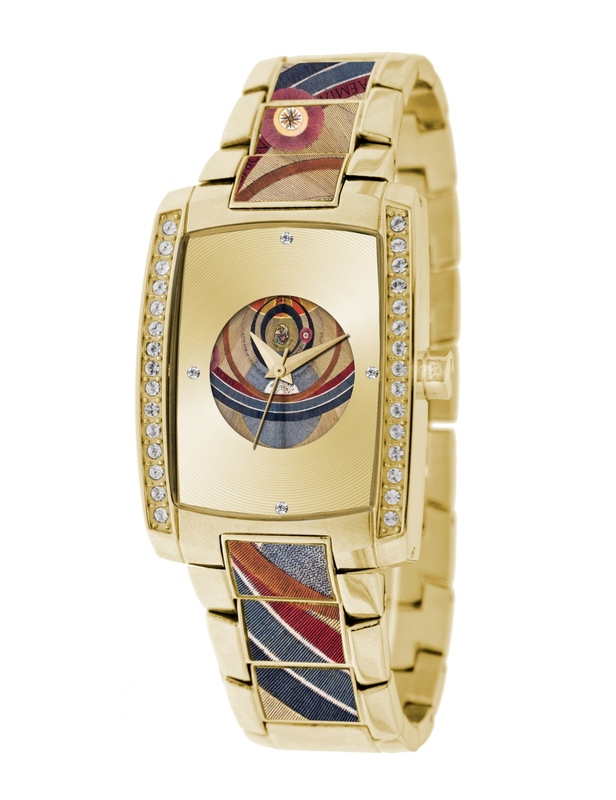 The exciting new Gattinoni Norma Planetarium bracelet watch extends Gattinoni’s popular Planetarium series with a bold IP gold rectangular case, framed with two glittering strips of zircon crystals on each side of the bezel. Gattinoni Planetarium timepieces are characterized by the use of delicate, colorful images of stars, galaxies, planets and asteroids that were inspired by Leonardo da Vinci drawings. These historic images have become strikingly original metaphors for time under the creative eye of Guillermo Mariotto. The Woman’s Norma W0224BGGCHM is powered by a precision Miyota 2035 quartz movement and protected by a durable stainless steel case and mineral glass crystal. The watch is water resistant to 99 feet and has been engraved with the Gattinoni logo on the side. Gattinoni style is all about energy and emotion. Ever since Fernanda Gattinoni opened her first atelier in Rome’s Via Marche in 1946, the Gattinoni name has been a major influence in the world of fashion, cinema and Haute Couture. If you’d like to experience what this highly regarded, fashion-forward brand can do for your own personal style, contact an authorized Gattinoni dealer today and reserve the surprisingly affordable Woman’s Norma today.